The late L.A. session guitar genius Jerry Cole has long been worshipped for his work with everyone from the Beach Boys and the Byrds to Frank Sinatra and Elvis Presley and by surf fans as the leader of the Spacemen. 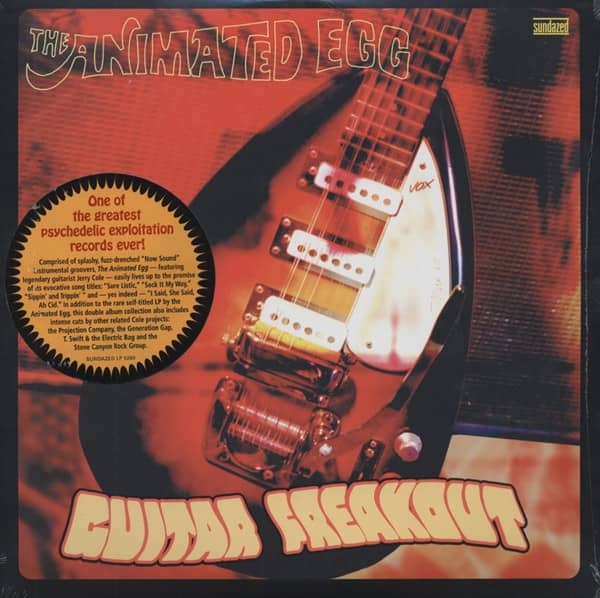 But unbeknownst to many, Cole was also the driving force behind the Animated Egg, a fictitious band whose lone, self-titled 1967 LP is one of the greatest psychedelic exploitation records ever to hit the budget bins of U.S. chain stores--and eventually the want lists of big-spending DJs and collectors. Comprised of splashy, fuzz-drenched "Now Sound" instrumental groovers, The Animated Egg easily lives up to both the eBay hype and the promise of its evocative track titles: "Sure Listic," "Sock It My Way," "Sippin' and Trippin,'" and--yes indeed--"I Said, She Said, Ah Cid." 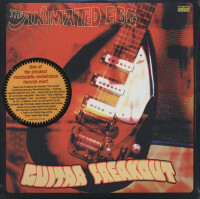 In addition to the rare self-titled LP by the Animated Egg, this collection also includes cuts by other related Cole projects: the Projection Company, the Generation Gap, T. Swift & the Electric Bag, and the Stone Canyon Rock Group. Sourced from the original analog masters, Sundazed's glorious CD and high-definition double-LP vinyl editions of this hallowed prize are a must for turntablists and brain-trippers alike. Customer evaluation for "Guitar Freakout 2-LP"